One of the best ways to incorporate fireground movements into your workouts is to perform what I call “10-minute interval overhauls.” These are 10 minutes of intervals that can vary in work and rest times that are performed after your strength training sessions. You can read more about these “interval overhauls” by clicking here or see how to integrate them into an actual program by clicking here (FREE 28-day FRF workout). Today I finished workout #3 of the Ultimate Fire Rescue Athlete Program and created this 10 minute overhaul….three hours later I’m still sweating. These intervals should be performed to the best of your ability, feel free to substitute in other exercises that you feel more comfortable with (and let me know your creative ideas). 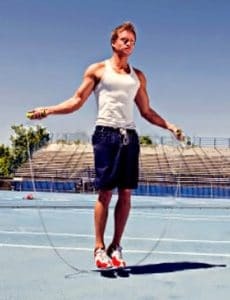 These overhauls help burn more fat and calories and as mentioned above are a great way to incorporate firefighter movements into your workout. Give this a one a try! 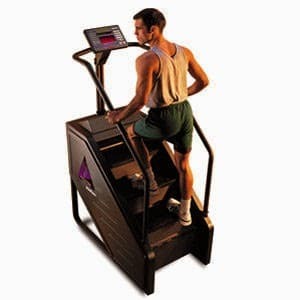 Should we put the weighted vest on for the stair climber, or just go without? Thanks for the question, I would recommend that you start without the vest, try it a couple of times to make sure your body responds accordingly. After you get adjusted to the workout, add a vest for more challenge…Let me know how it goes.